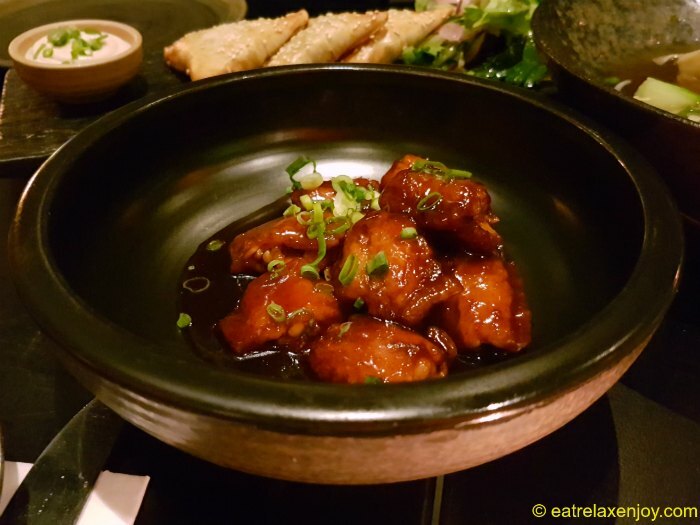 Bombyx Mori Restaurant, located in Kiryat Ono, a suburb of Tel Aviv, offers more than good oriental food, it is a journey of tastes and smells to the Silk Road. Bombyx Mori has unique décor. It feels like a jungle. Seating is in half a circle around the bar. When we arrived on a rainy evening, the lights were soft and the atmosphere was calm, romantic. During good weather, there is more seating areas on an external terrace. 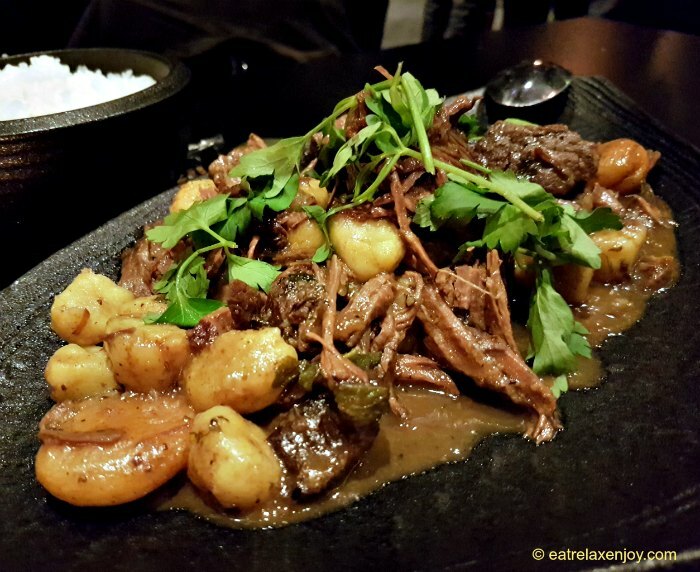 Bombyxs Mori’s menu is very diverse and ‘travels’ via the silk road with Persian, Bokharan, Chinese, Japanese, and Thai food. 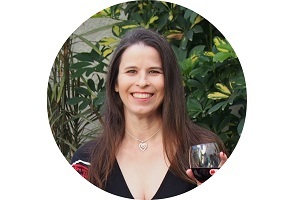 The restaurant is not Kosher (although there are kosher and vegan dishes), and includes beef, chicken, lamb, fish, and seafood and also children meals. We ordered chicken and beef, which we shared with our teen. For starters we had Bukharian Sambousek, Bun chicken with tomato curry, boneless wings in Sriracha Teriyaki sauce, and Won Tom soup. 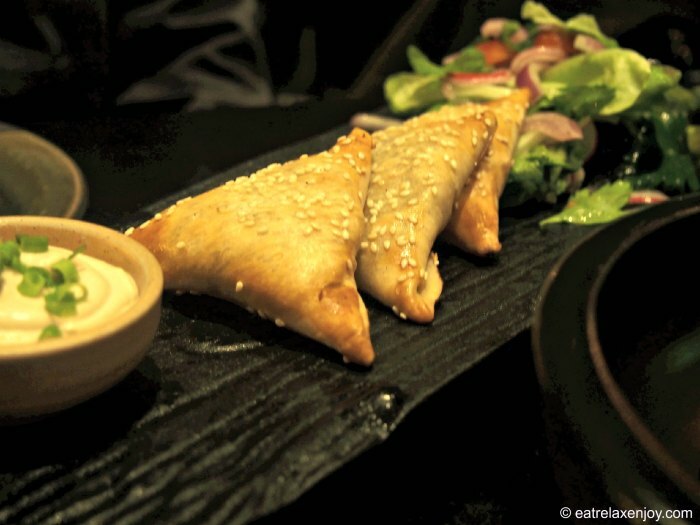 We had a really yummy Bukharian Beef Sambousek (stuffed pastry), which was served with Tahini and vegetables salad. 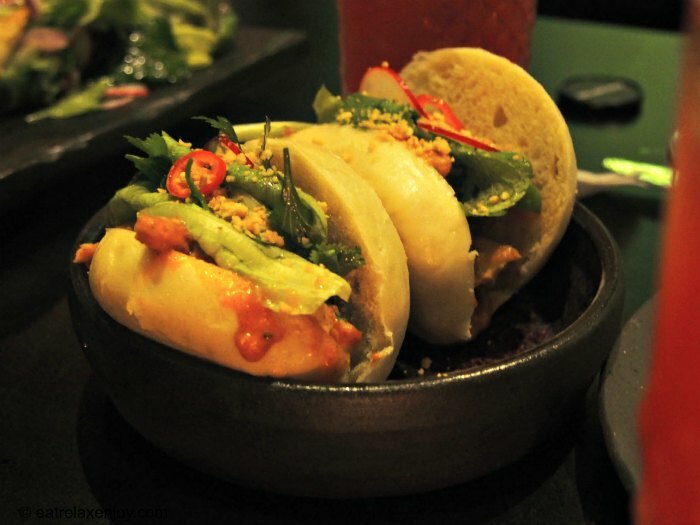 Bun chicken with tomato curry – two medium-sized soft roll with chicken in spicy but not too spicy tomato curry balanced with some vegetables. Boneless wings – soft wings without bone in spicy Sriracha Teriyaki sauce to die for! 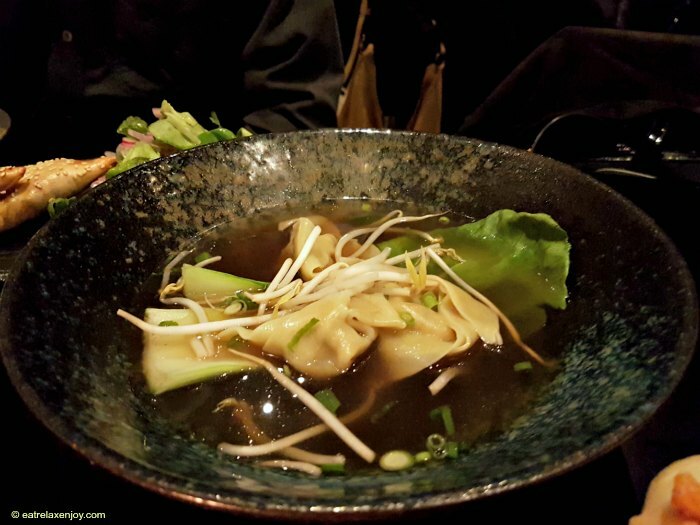 Rich but gently seasoned Won Ton soup with vegetables and chicken wontons. A tip: if you plan to have the soup – start with it, otherwise, the other flavors will take over with their dominant seasoning. The starters were a celebration of tastes! The Bukharian Sambousek and the boneless wings are a must order! For main course we had Pad Thai, Butter chicken, and Persian Khoresht. 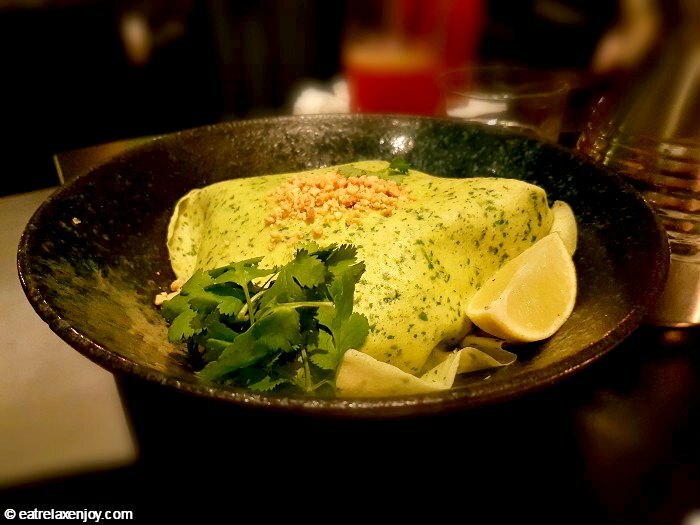 The teen had chicken Pad Thai with egg noodles that was served wrapped with a green egg crepe. 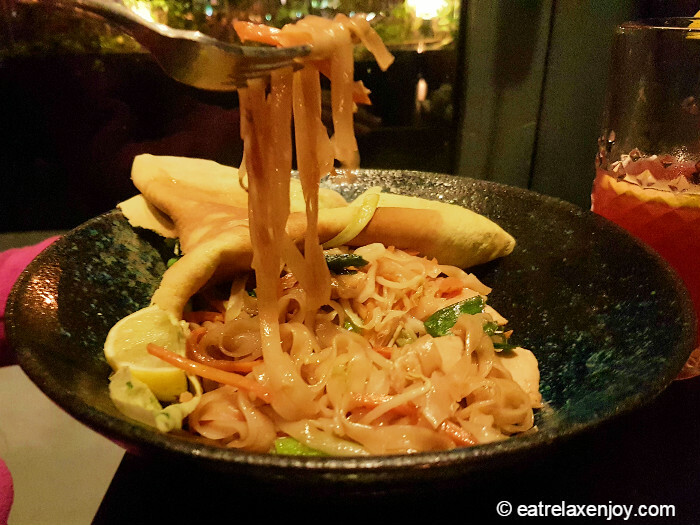 This dish can be ordered with tofu, beef or chicken, and with a choice of rice or egg noodles. It was very good, with crunchy vegetables and good seasoning. 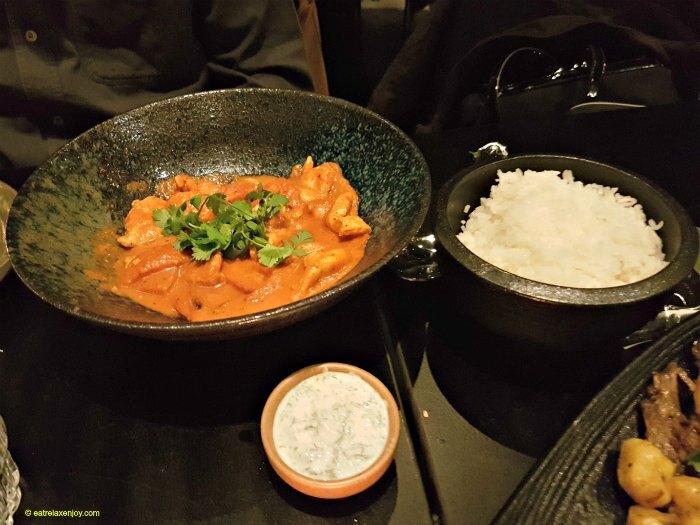 My partner had the Butter Chicken – with spicy tomato curry, with a side of rice and cucumber Raita. The chicken was rich and spicy but not too much, and the Raita was nicely combined with it. I had the Persian Koresht that served with black lemon and potato dumpling. I enjoyed it, it had a gentle sourness and the meat was quite soft. This dish was really big, and I ended up asking for a doggy bag, enjoying it also the day after at home. We shared the main courses, and the result was an interesting culinary trip via the Silk Road, which I highly recommend. For dessert we had Knafeh, Atayef, and Banoffee Tart. 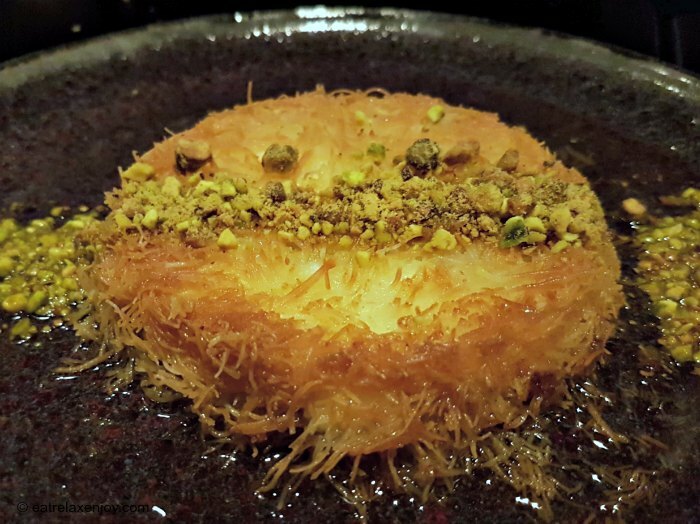 Kanefeh is an Arab dessert, made of salty cheese soaked in sugar syrup and sprinkled with crushed pistachios. Atayef is a pancake like soft dough. Atayef is served filled. 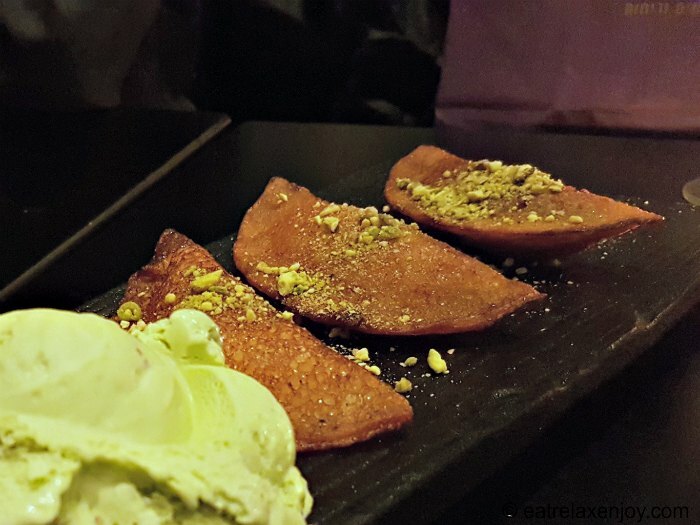 This dessert included 3 pieces atayef, each with a different filling: cheese, walnuts and cinnamon, and coconut, served with pistachio ice-cream. I really loved this dessert – the dough was warm and soft and I enjoyed trying each filling, with the cold pistachio ice-cream. 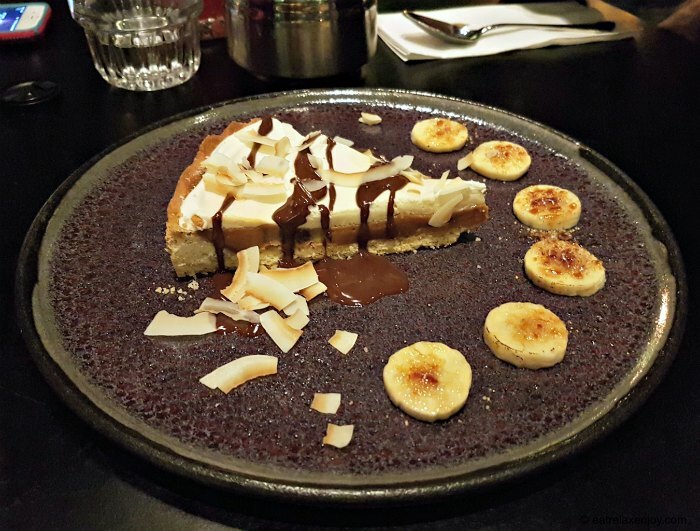 The Banoffee pie was ordered by the teen, who ate it all in seconds. I was able to taste it and it was very good. 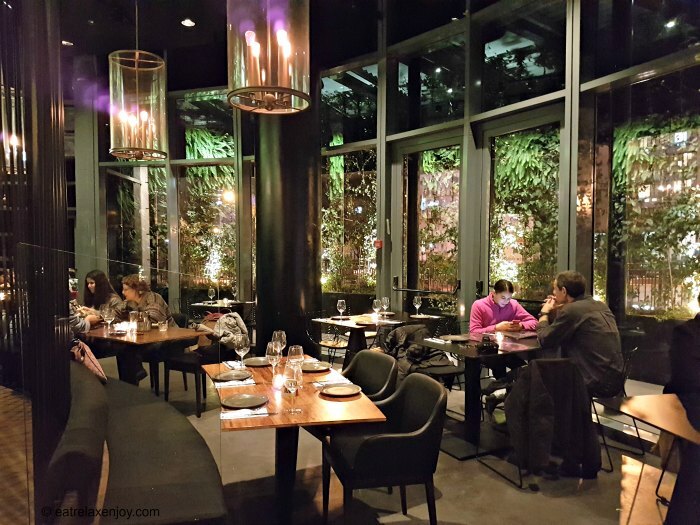 The service at Bombyx Mory was excellent. The food was served quickly, the waiters were always around to check if we need anything, and brought us wet napkins and tooth picks before we even had the chance to ask for it. Before we left the restaurant, we went to the toilet. 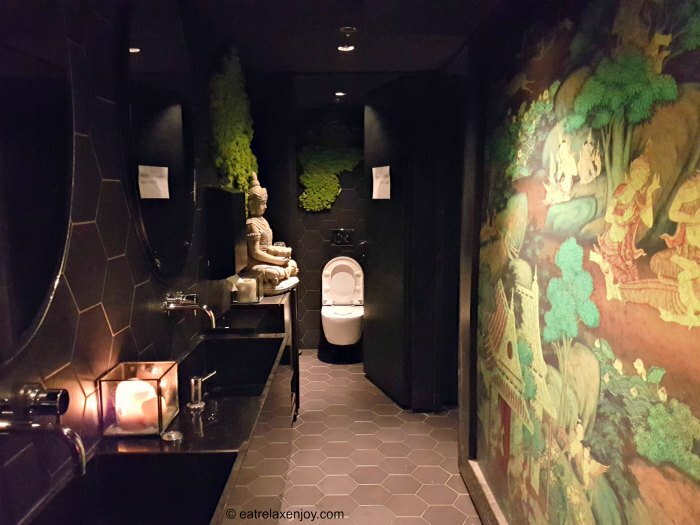 I will give you a spoiler here – just like the unique décor of Bombyx Mori, the toilet is also unusual. 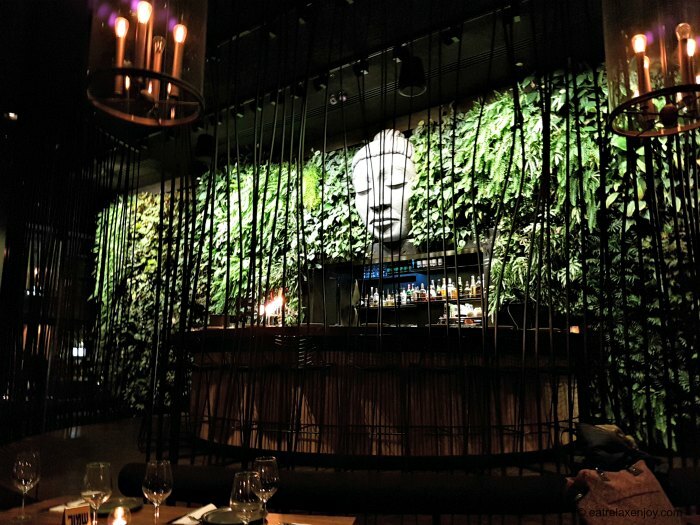 Bombyx Mori Restaurant offers an opportunity to enjoy a whole culinary spectrum of tastes and smells, spanning continents. Combined with a unique atmosphere, it makes it an experience of all the sense!